It has been a busy and productive week - busy in a good way with fun fabrics, no pressure sewing and scheduled knitting and coffee breaks. I allowed myself a whole day to baste this quilt (it takes hours of procrastinating) and then another day to quilt and bind. It was the small hours of the morning when I finally finished the quilt, and by then the house was all quite. There was even a slight chill in the air. At last. Welcome Autumn! 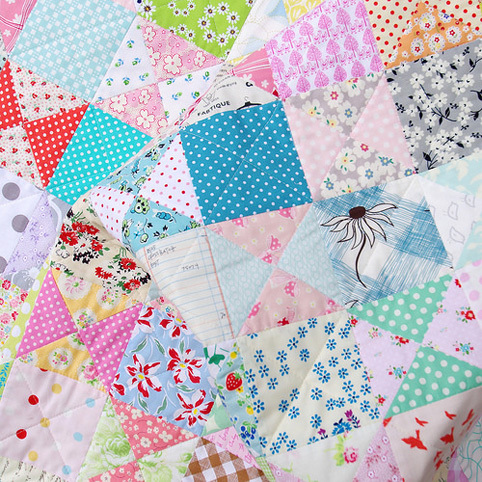 This quilt is all about the fabrics so I have kept the quilting functional rather than decorative. I have quilted (ditch-stitched) all seam lines and then added an additional set of diagonal lines through all of the squares (cross-hatched). Very simple. The quilt feels so soft and drapes beautifully. You can't but run your hand over the fabrics. For the back of the quilt I have used a single cheerful yellow, floral fabric by Yuwa Fabrics (Simple Bouquet in Yellow) - a Japanese Import fabric of such fine quality. I've had this fabric in my quilt-back stash for a few months and have been holding onto it for just the right project, and this was the one! I was indecisive about the binding fabric - my original plan was to use a pink binding fabric - but in the end I went with a classic black/white stripe fabric which complements both the quilt back as well as the front. 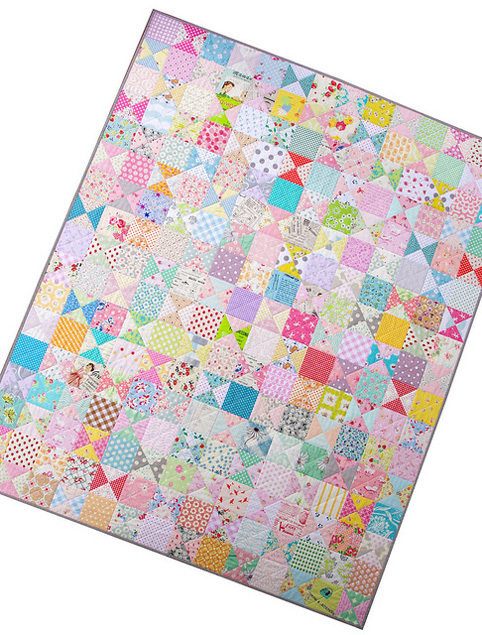 You'll find the listing and all the details here: Modern Patchwork Quilt. Ohio Star Quilt - Work in Progress including all the details to make your own Scrappy Ohio Star Quilt and link to Hourglass Block Tutorial. 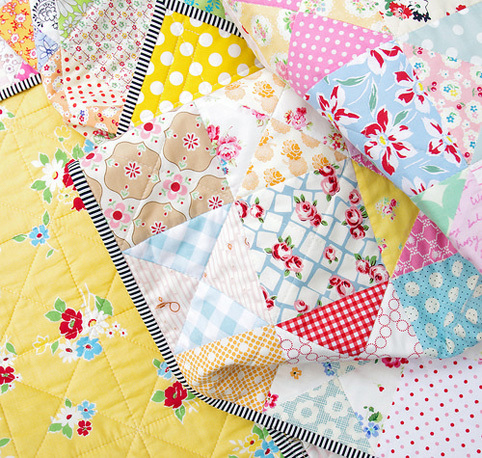 as always i fall in love with this amazing quilt! you are so talent! 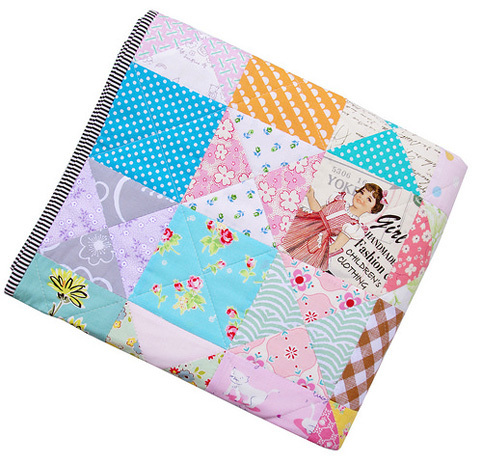 Hi Rita, Beautiful quilt! I love the simple pattern. 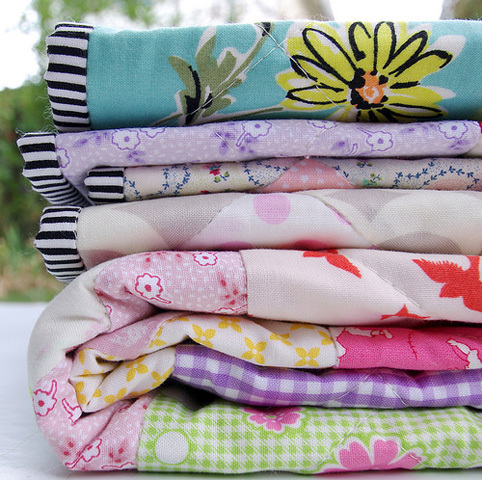 Can you tell me how you baste your quilts? I usually pin baste but so often still end up with big puckers. The fabric on the back is fab. And the fabric play on the front is gorgeous. What a happy quilt! Love the back..and all the sweetness of those fabrics. 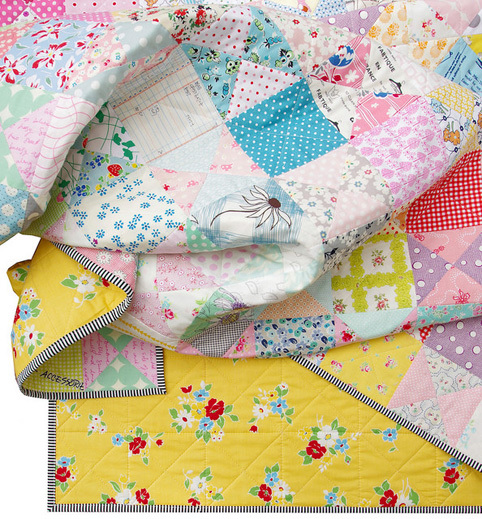 I just love everything about this quilt Rita. 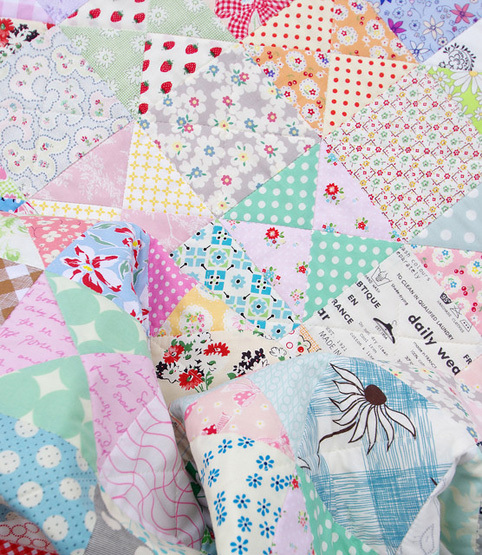 I really enjoy looking at your quilts and seeing if I have any of the same fabrics. I wonder does anyone else do that? I am always doing that when I look at quilts. I love fabric!! Wow! I can't even describe how much I love this quilt. Beautiful fabrics and colors. It looks soft, snuggly, fresh and just like Spring. The backing fabric and binding are perfect. Cute quilt or what? and love the pop of color on the back. Excellent! 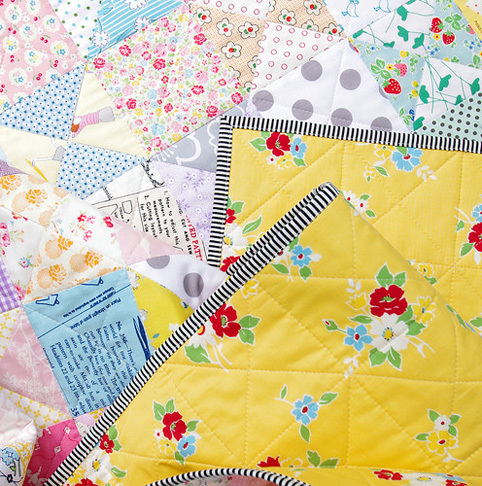 It is so fun how you have pops of fun or surprising fussy cuts along with the fab scraps!! Happy Autumn!! I love it Rita. The fabric is so pretty and spring like too. I've just finished my Hummingbird quilt top, my first FPP project. Thanks for the free pattern.